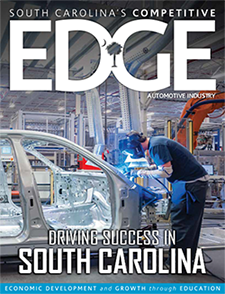 When Volvo Cars Corporation broke ground on its new Berkeley County facility September 25, 2015, it fortified South Carolina’s status as an epicenter of automotive excellence. The $500 million facility represents Volvo’s first manufacturing plant in the Western Hemisphere and will be home to the world’s only production line of the next-generation Volvo S60 sedan. The car will be the first American-built Volvo sold in the U.S., and it will be shipped overseas through the Port of Charleston for worldwide distribution. The new facility is expected to create some 2,000 new jobs in the next 10 years and up to 4,000 jobs by 2030. The goal is to produce around 100,000 cars per year, with the first vehicles expected to roll off the assembly line in 2018. 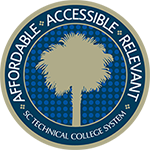 A key component to that “well-trained labor force” is readySC™, which is assisting with the recruitment and training for positions at the new plant. The readySC project team is designing a preliminary pre-employment curriculum based on initial meetings with the local Volvo Cars human resource representatives and a Discovery trip to the Volvo Cars manufacturing facility in Sweden. Additional training will be designed in conjunction with Volvo Cars, and a permanent Volvo Cars Training Center will be constructed at the Berkeley County site. While the facility is under construction, and the new Volvo S60 sedan is being designed by the engineering team in Sweden, hiring strategies are taking shape. The plan is to hire engineers and some of the salaried workforce throughout 2016 and 2017. Production jobs, which will be the majority of available positions, will start to be filled locally as the company gets closer to production launch in 2018. Volvo will be partnering with readySC on the recruitment and training for the production workforce, and these jobs will be posted on: www.readysc.org/volvo. Volvo has been in operation since 1927. Today, Volvo Cars is one of the most well-known and respected car brands in the world with sales of 465,866 in 2014 in about 100 countries. As of December 2014, Volvo Cars’ had over 25,000 employees worldwide. Volvo Cars head office, product development, marketing and administration functions are mainly located in Gothenburg, Sweden. Volvo Cars of North America is based in Rockleigh, New Jersey. The company’s main car production plants are located in Gothenburg (Sweden), Ghent (Belgium) and Chengdu (China).